“With freedom, books, flowers, and the moon, who could not be happy?” ―Oscar Wilde Limited Edition 100 signed art prints; Print created from an original graphite and watercolor illustration of a still life created by the artist. Giclee print on Hahnemühle paper, 308gsm using 12-color, archival fade-resistant pigmented ink. Each print is numbered and hand signed by the artist, Annie Havlicek, and includes a Certificate of Authenticity. Choose from an 14” x 11” matted print with gold bamboo frame or an 14” x 11” matted print with white wood frame in the dropdown menu. The width of the white wooden frame is 7/8" and the depth is 1 1/4". The width of the gold bamboo is 15/16" and the depth is 1 3/8". Professionally framed prints and include a 2.5" white mat, wooden frame, clear acrylic glass and are heat mounted to foamcore backing. 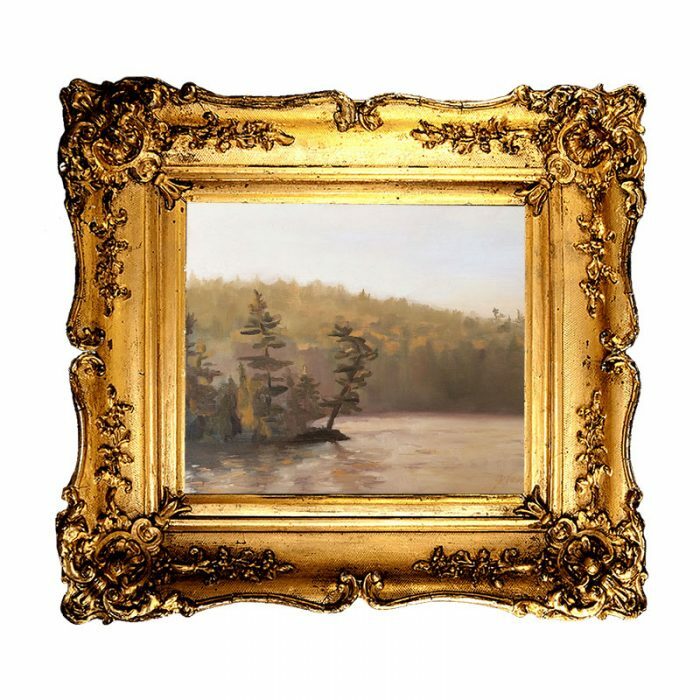 Painting: Oil on Panel This original painting by Jessica Tamlin was painted en plein air in Algonquin Provincial Park, Ontario, Canada and is from the artist’s Ontario Series. This piece is unframed, and measures 10” x 8” and is signed by the artist. Vintage Atomizer No. 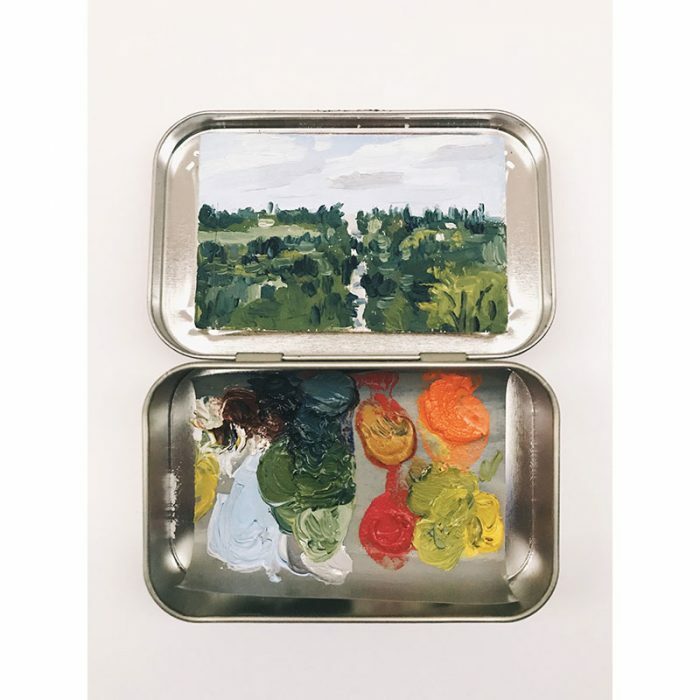 1 Limited Edition 100 signed art prints Print created from an original illustration of a vintage Marcel Franck atomizer the artist found while treasure-hunting in Paris. Giclee print on Hahnemühle paper, 308gsm using 12-color, archival fade-resistant pigmented ink. Each print is numbered and hand signed by the artist, Annie Havlicek, and includes a Certificate of Authenticity. Choose from an 8" x 8" matted print with gold bamboo frame or an 8" x 8" matted print with white wood frame in the dropdown menu. The width of the white wooden frame is 7/8" and the depth is 1 1/4". The width of the gold bamboo is 15/16" and the depth is 1 3/8". Professionally framed art prints include a 2.5" white mat, wooden frame, clear acrylic glass and are heat mounted to foamcore backing. 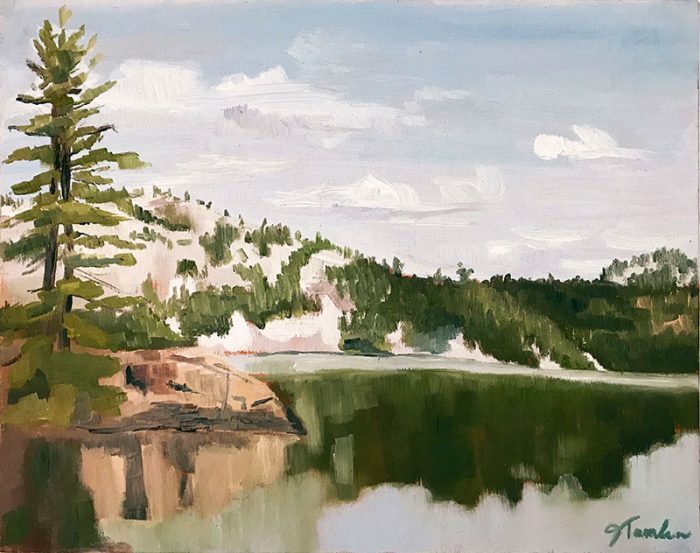 Painting: Oil on Panel This original painting by Jessica Tamlin was painted en plein air in Killarney Provincial Park, Ontario, Canada and is from the artist’s Ontario Series. This piece is unframed, and measures 10” x 8” and is signed by the artist. 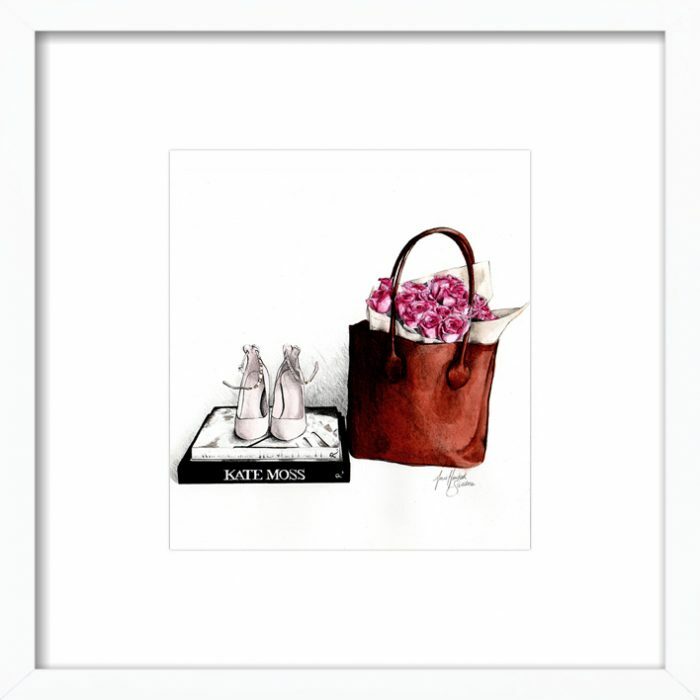 Limited Edition 100 signed art prints Print created from an original graphite and watercolor illustration of a still life created by the artist. Giclee print on Hahnemühle paper, 308gsm using 12-color, archival fade-resistant pigmented ink. Choose between 14” x 11” or 16” x 20” unframed fine art prints or white wood or gold bamboo frames in the dropdown. Each print is numbered and hand signed by the artist, Annie Havlicek, and includes a Certificate of Authenticity. Choose from an 14” x 11” or 16” x 20” matted print with gold bamboo frame or an 14” x 11” or 16” x 20” matted print with white wood frame in the dropdown menu. The width of the white wooden frame is 7/8" and the depth is 1 1/4". The width of the gold bamboo is 15/16" and the depth is 1 3/8". Professionally framed prints and include a 2.5" white mat, wooden frame, clear acrylic glass and are heat mounted to foamcore backing. Painting: Oil on Board. 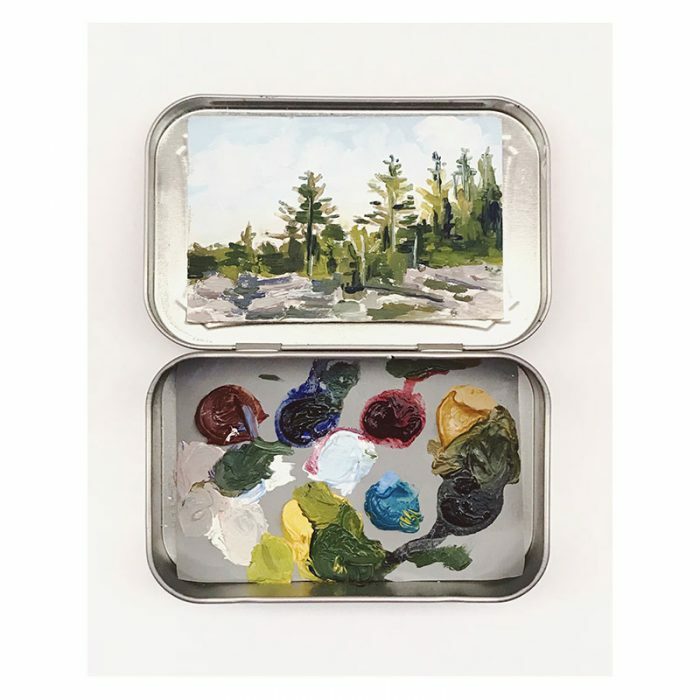 This original painting by Jessica Tamlin is from the artist's Ontario Series. This piece is unframed, and measures 12” x 9” and is signed by the artist. Vintage Atomizer No. 2 Limited Edition 100 signed art prints Print created from an original illustration of a vintage Marcel Franck atomizer the artist found while treasure-hunting in Paris. Giclee print on Hahnemühle paper, 308gsm using 12-color, archival fade-resistant pigmented ink. Each print is numbered and hand signed by the artist, Annie Havlicek, and includes a Certificate of Authenticity. 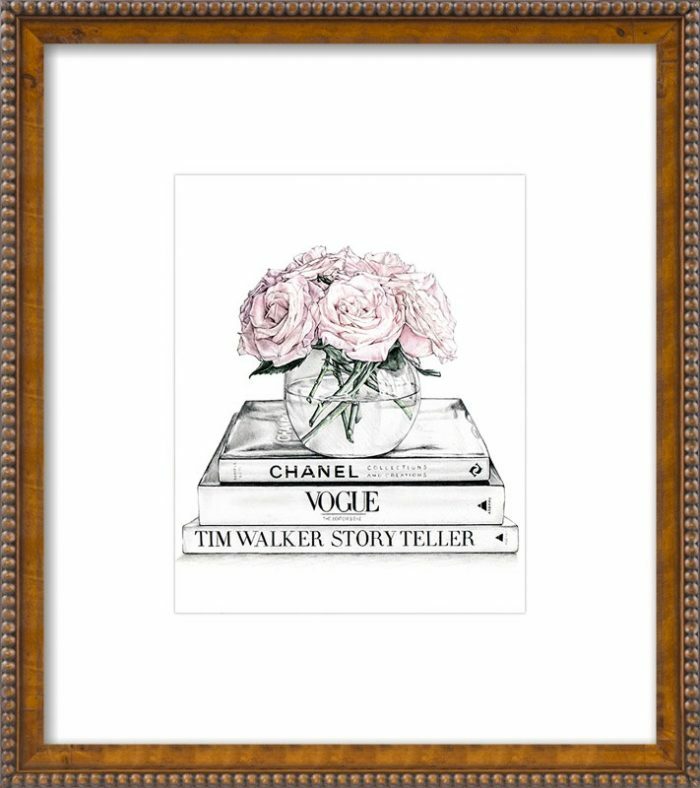 Limited Edition 100 signed art prints Print created from an original graphite and watercolor illustration of vignette by This Is Glamorous. Giclee print on Hahnemühle paper, 308gsm using 12-color, archival fade-resistant pigmented ink. Each print is numbered and hand signed by the artist, Annie Havlicek, and includes a Certificate of Authenticity. 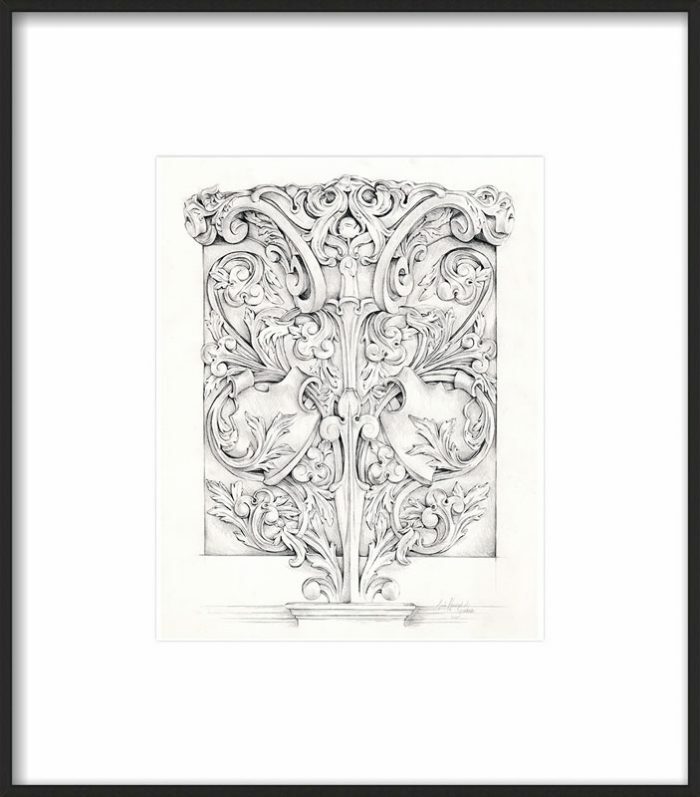 Limited Edition 100 signed art prints Print created from an original graphite and watercolor illustration of a still life created by the artist. Giclee print on Hahnemühle paper, 308gsm using 12-color, archival fade-resistant pigmented ink. Each print is numbered and hand signed by the artist, Annie Havlicek, and includes a Certificate of Authenticity. Vintage Parisian Atomizer No. 2 Limited Edition 100 signed art prints Print created from an original illustration of a vintage Marcel Franck atomizer the artist found while treasure-hunting in Paris. Giclee print on Hahnemühle paper, 308gsm using 12-color, archival fade-resistant pigmented ink. Each print is numbered and hand signed by the artist, Annie Havlicek, and includes a Certificate of Authenticity. Painting: Oil on Board. 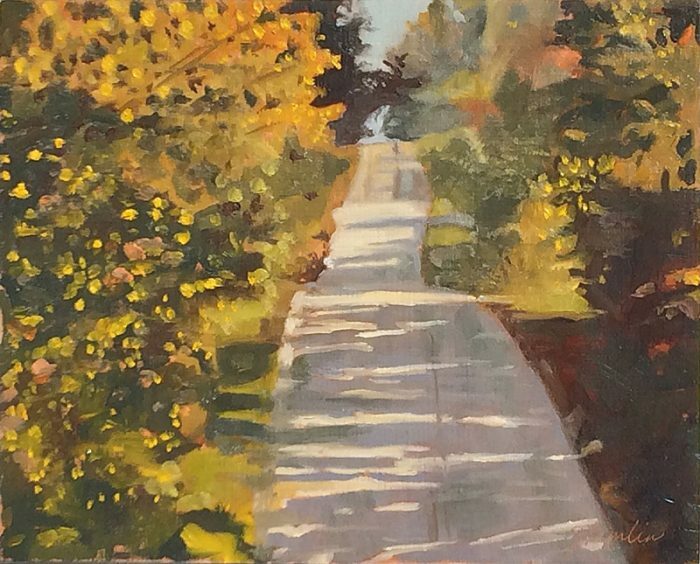 This original painting by Jessica Tamlin is from the artist's Ontario Series. This piece is unframed, and measures 10” x 8” and is signed by the artist. Limited Edition 100 signed art prints Print created from original illustrations of vintage Marcel Franck atomizers the artist found while treasure-hunting in Paris. Giclee print on Hahnemühle paper, 308gsm using 12-color, archival fade-resistant pigmented ink. Each print is numbered and hand signed by the artist, Annie Havlicek, and includes a Certificate of Authenticity. Choose from an 8″ x 8″ matted print with gold bamboo frame or an 8″ x 8″ matted print with white wood frame in the dropdown menu. The width of the white wooden frame is 7/8" and the depth is 1 1/4". The width of the gold bamboo is 15/16" and the depth is 1 3/8". Professionally framed prints and include a 2.5" white mat, wooden frame, clear acrylic glass and are heat mounted to foamcore backing.